The library is proud to present performer Tim Collins at 6:30 p.m. on Tuesday, January 9, in the Draughon Room (lower level of the library). 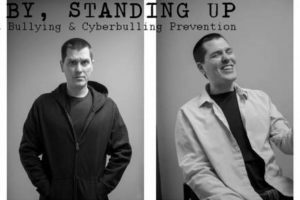 Standing By, Standing Up examines the serious realities of bullying, cyberbullying, and exclusion, but also identifies hopeful outcomes and ways that students can prevent violence in their schools, and in their lives. This program is made possible by a Spotlight on Literacy grant through the Missouri State Library, with funding provided by the Institute of Museum and Library Services.